The 2016 Ontario Provincials took place May 14-16 in Scarborough at St. John Paul II C.S.S. and the University of Toronto – Scarborough Campus. 40 teams from across the province participated in a round-robin ranking tournament. 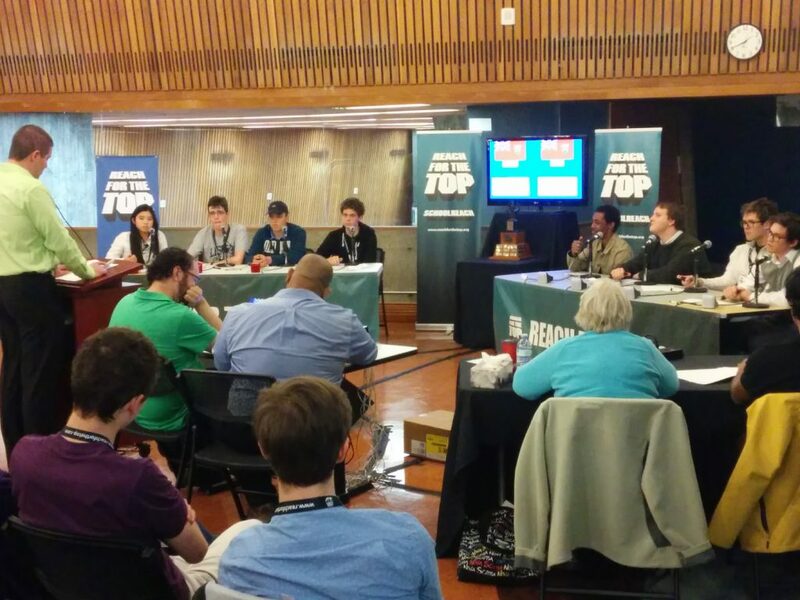 After an action-packed tournament the Top 10 were decided and faced off in the Finals games to decide who would represent Ontario at the National Finals. 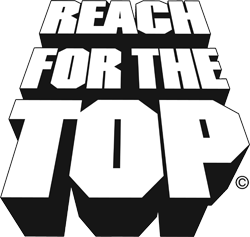 On behalf of Reach for the Top, I would like to personally thank the Humber students who put so much time and effort into organizing and staging this splendid event and all of the donors and sponsors for their generous support of the Reach for the Top Foundation. Reach For The Top’s (RFFT) first ever silent auction & fundraiser was a huge success. 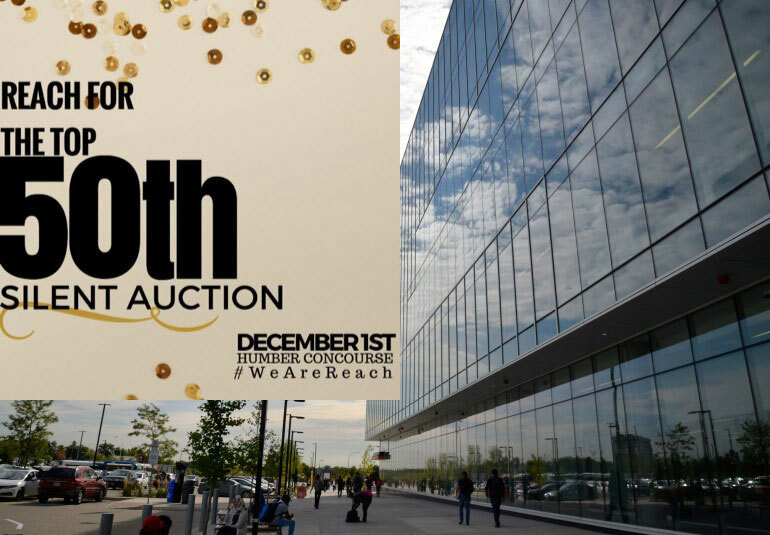 The auction was held at Humber College North Campus on December 1, 2015. Forty Humber College Event Planning: Hospitality, Recreation and Tourism students organized, planned and executed the fundraiser to support the recently launched Reach for the Top Foundation. The event raised over $6,000, an astounding 20 per cent over the desired goal. The funds raised will assist Canada’s youth by providing annual scholarships and bursaries for post-secondary education. The goal was to raise a total of $5,000 for the Reach for the Top Foundation and provide Humber College students with the practical experience of executing a successful event. In a mere couple of hours, Concourse was transformed into an entertaining live event venue complete with 60s décor, photo booth, and the grooviest soundtrack. Goods valued at over $12, 000, donated by generous community donors, included a signature Tiffany & Co. bracelet. More than 200 staff, students and Reach alumni showed up to bid on their most wanted items and revisited the swinging 60s. Our generous community donors and diligent students brought the event to fruition after months of dedicated work. Reach for the Top is proud to announce that this fundraiser exceeded its goals and had a stellar turnout. Bennet Montgomery from Martingrove C.I. 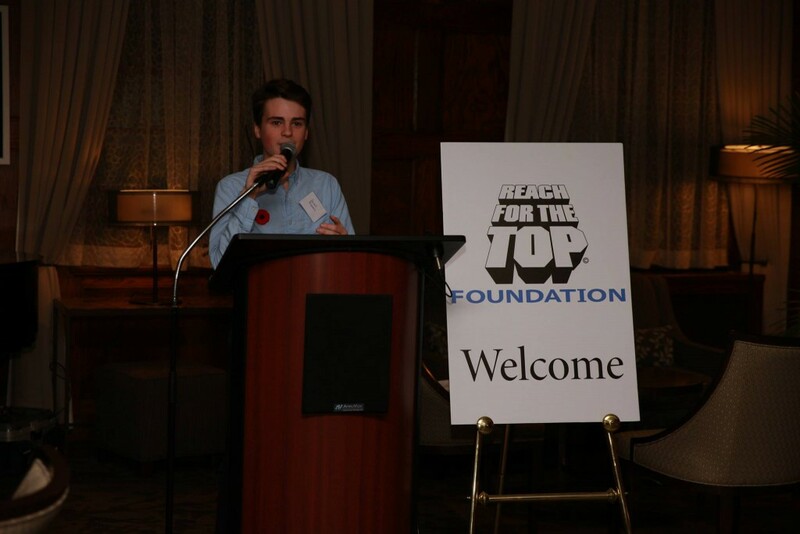 Reach for the Top was pleased to announce the establishment of the Reach for the Top Foundation at the Faculty Club of the University of Toronto on Tuesday, November 3rd, 2015. Now fully active, this charitable foundation acknowledges students and alumni for their achievement and excellence in scholarly and cultural pursuits. Highlights of the evening included remarks from Jay Misuk (Reach convenor for the Hamilton Wentworth League) and Martingrove C.I. students Fox Slawnych, and Bennet Montgomery (pictured left). The evening concluded with a few rounds of Stop Light Trivia with Fraser Simpson. Guests went home inspired and informed. The event was well attended with special guests including: Patricia Stewart (co-founder of Schoolreach, the in-school subscription programme), Paul Russell, (creator and lead donor), Daniel Hill, (director of Reach For The Top), William Schultz, (creator of the Don Haig Foundation and Award), Aneil Gokhale and Emma Jenkin from the Toronto Foundation and our national host Ryan Vickers.